Motormännen has made a huge impact in Sweden with its unique & successful information Techno. 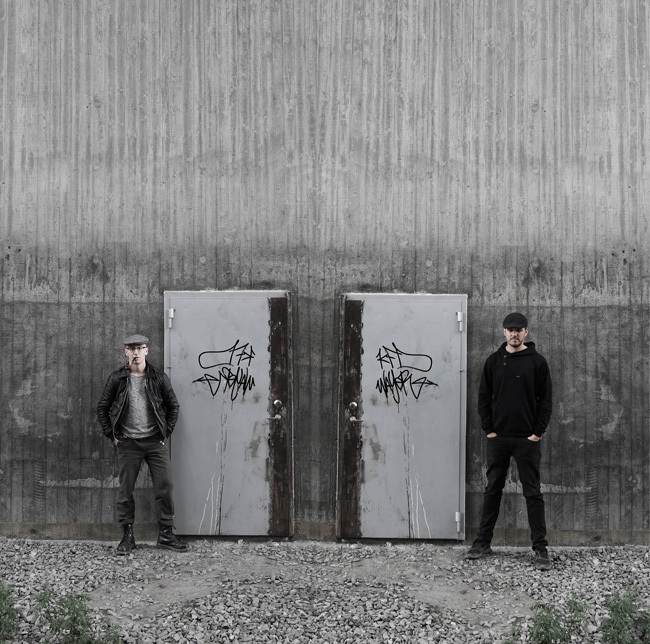 ’Informal’, their debut album has been praised countless times by the press and caught the attention of Sweden’s hottest techno producers as Manic Brothers, Inter Gritty, Nima Khak & Ragnar Atari takes the concept of Swedish welfare into the darkest and hardest corridors of Techno. Motormännen makes information age techno spiced by swedish aired nostalgia through a filter of retro futuristic skepticism. The music is packed with minimal acid loops and samples with excerpts from Swedish politicians, documentaries and Christer Glenning reflecting on the times when the the cold war and the welfare state was dissolving. During these times many inhibitions was released and new foreign influences crept into the body of the society and the old style information monopolies. The music is visually enhanced by messages from pictures and videos of the 70s and 80s. Posted in News and tagged with Informellt, Inter Gritty, Manic Brothers, Motormännen, Nima Khak, Ragnar Atari, Reformellt. RSS 2.0 feed.